I am reading a book by Thomas Moore, the dark night of the soul, that is really starting to shift my approach to therapy. As a solution-focused trained therapist myself, I have always adopted the view that when issues arise, dark emotions take over and overwhelm our clients, our job as therapists was to immediately act on them and find the right approach in our tool box to “fix” them. After all, that’s what our clients want, right? They come to see us so we can help them get rid of those unwanted feelings. I have recently discovered through my own journey and my clients’ one, that there might be sometimes another way to deal with it all. Sometimes when dark feelings rise, such as pain and anger for example, it might not be the right thing to address them immediately and get rid of them as fast as possible. 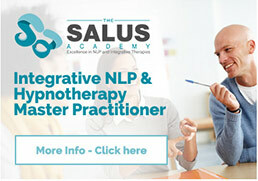 Over the years, I have moved from the traditional NLP quick fix approach to a deeper more therapeutic way to help my clients – still using NLP and Hypnotherapy though. I have learnt through experience that taking the time to develop a meaningful and trustworthy relationship with my clients significantly improved the results they got from our sessions. 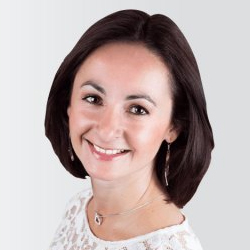 With more time, I started integrating even more coaching skills to therapeutic ones, and changed my approach to a coaching relationship first and foremost, during which I would sometimes use therapeutic tools (such as NLP, Hypnotherapy, CBT, TA or EFT) if my clients got stuck. But until recently, I was still approaching negative emotions as something to work on, something to actively tackle with therapeutic tools. Thomas Moore talks about a homeopathic or allopathic approach to therapy, and reading this I suddenly had a light bulb moment. This is totally resonating with the organic change I’m going through – on a personal and professional level. Allopathic medicine, as beautifully described by Moore, works again the problem, using substances that attack the symptom. Homeopathy, on another hand, works according to the principle of introducing very diluted doses of the substance that in large dosages would create the symptom to allow the body to develop its natural defences against it. Moore points at the fact that most of us tend to approach difficult emotions in an allopathic way. We try to push away sadness by getting busy or distract ourselves with any form of entertainment. We diffuse anger by exercising a lot or meditating. It’s a “going against” approach that we all have been trained to adopt. I must say that even in therapy, at least in the field I’ve been trained in, we are encouraged to tackle those negative emotions as soon as possible with powerful NLP processes that work magic. But what I’m currently discovering is that sometimes, instead of fighting against those emotions – which in itself takes up a lot of energy and can be quite distressing – we could simply surrender to them and let them be. Why is it distressing to fight against those emotions? Because at a subtle level, when you try not to feel anger, pain or sadness, you’re denying a part of yourself. You’re rejecting a vulnerable part of you that needs to be honoured and nurtured. You’re implicitly telling yourself “feeling this way is wrong”. There is a relief and a serenity in simply accepting how we feel, and not trying to *do* something about it immediately. I often talk about self-acceptance in my lectures or workshops, but this is taking it to the next level. This is accepting to free fall into the darkest places of our soul, of our mind, and be taken over by those emotions. It is one of the most scary place to be in – and I must say, I’ve personally resisted doing that for decades. But when I finally surrendered to it, to my surprise it dissolved quickly and wasn’t that scary after all. It’s about confronting our deepest demons. It’s about facing death somehow. The death of our ego perhaps, the death of our defences. But the re-birth is magical and cathartic. When I’ve started to take that approach with my clients, we noticed the same. An intense fear to start with, a natural resistance to go there, the swan song. Only to discover that after all, you don’t die. What we fear the most in the most hidden places of our psyche, is simply an archaic irrational fear of death. As if by facing that pain, we wouldn’t get out of there alive. But we do. And when we do, that’s when the transformation happen. When we realise that this monster we’ve been afraid all our lives is a little puppy. Well, almost… 🙂 There’s nothing to be afraid of in the end ; even if it’s the most scary thought. It takes time. Time to be ready to face it all – as it shatters our ego, and certainly dissolve a lot of our defence mechanisms. Which means we will be facing what those defence mechanisms have been protected us from all those years: the unresolved pain, the grief, the anger. And when you face it, you dive into a dark hole that seems endless. But it’s not. As one of my therapist told me at the time “It’s not a hole. It’s a tunnel”. And I didn’t believe her, the hole seemed so big and swallowed me. Yet, I ended up seeing the light. It’s not a journey to embark on alone, absolutely not. It requires strong support – friends, family and certainly therapy. But in the end, that’s what will free you. It’s interesting how I am running a holistic therapeutic clinic, yet it took me a while to align my therapeutic approach to my values. 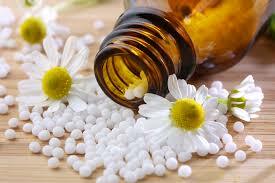 A holistic one, an homeopathic one instead of allopathic. And that’s the beauty of life, we always learn, we always grow.